It is believed that the next technological frontier to be crossed by humans is the Internet of Things (IoT). But what is the Internet of Things (IoT), or, Internet for Things, as one of the early co-founders of the concept, Kevin Ashton calls it? IoT is a system of interrelated computing devices, mechanical and digital machines, objects, appliances, buildings, vehicles, animals, plants, or people that are provided with unique identifiers and the ability to transfer data over a network without requiring human-to-human or human-to-computer interaction. 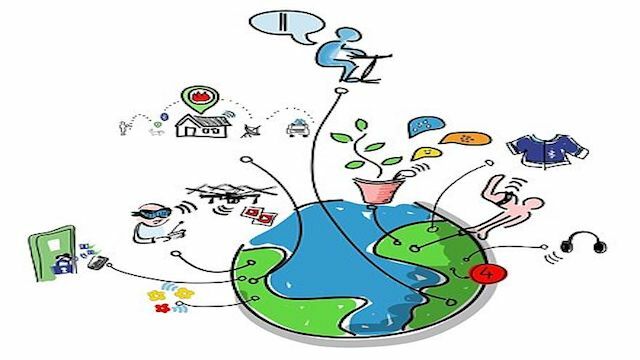 Brief, IoT is about connecting devices or things, over the internet, letting them communicate with us, with applications, and with each other. IoT is not a new concept, having been discussed and tried as early as 1982 at Carnegie Mellon University, with a Coke machine being the first Internet-connected appliance. IoT is now becoming a reality for most of us. IoT will benefit from Internet Protocol Version 6 (IPv6) which has addressed the limitations imposed by IPv4. IPv6 has extensively increased the address space, allowing humans to assign an IP address to every "thing" on the planet. The advances in Machine Learning have improved communication and interaction among humans and machines. However, the success of IoT will also be dependent on how humans, and intelligent machines, will be able to address the cencerns around data privacy, ownership, sovereignty, and security.